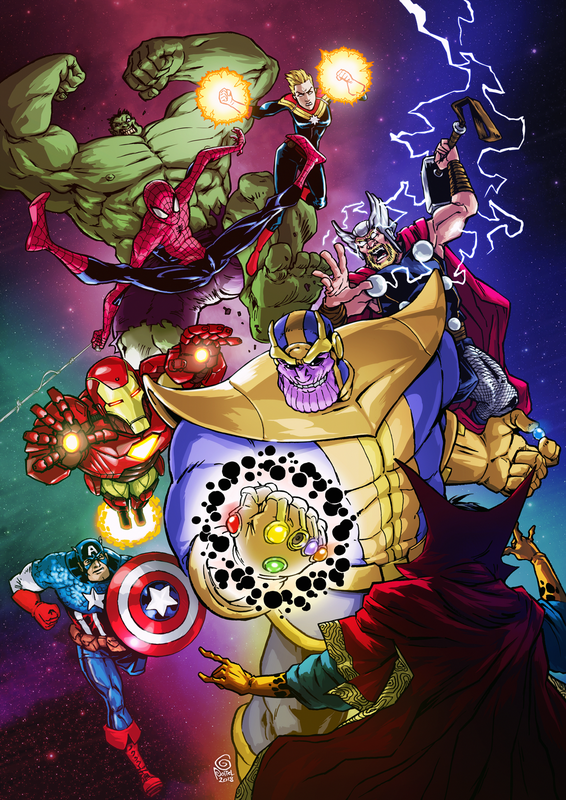 Lately I've been getting more and more hyped by the Avengers: Infinity War film release - so here is a fan art! I'd like to add that it is also some kind of tribute to the "old" Marvel Super Heroes video game by Capcom and its brilliant 2D art, which I am still a big fan of! Fun fact: before coloring in Photoshop, I sketched this with pencils on an A4 paper sheet, then inked it on an enlarged A3 format! 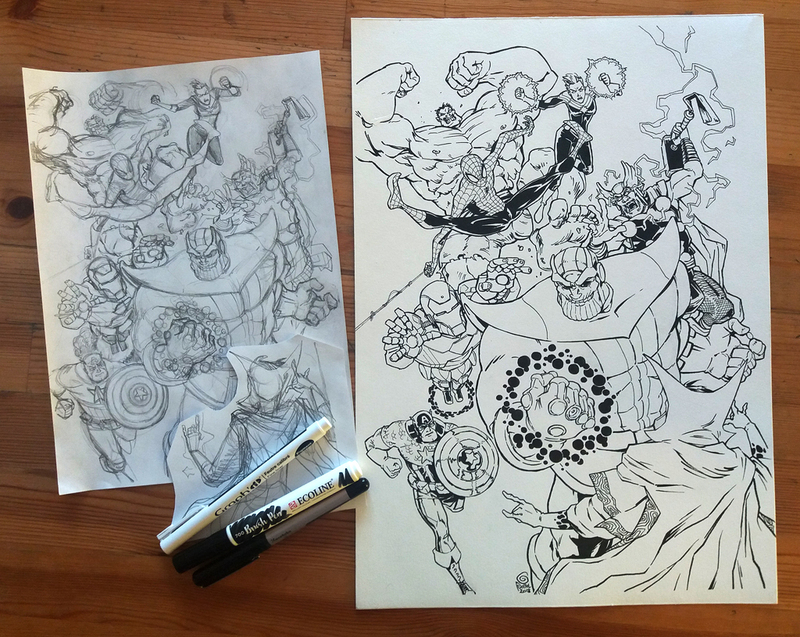 Lots of inking mistakes were digitally fixed, but it was my first time inking such a big paper sheet. I need to practice more, but it was a good exercice.